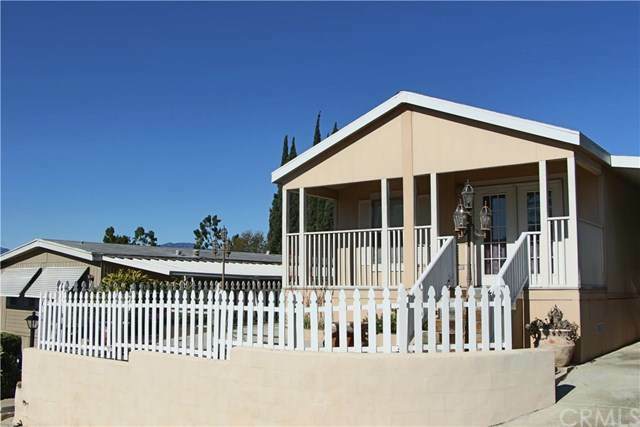 Welcome to Covina Hills MHC an All Age Community located in the city of Puente Hills! 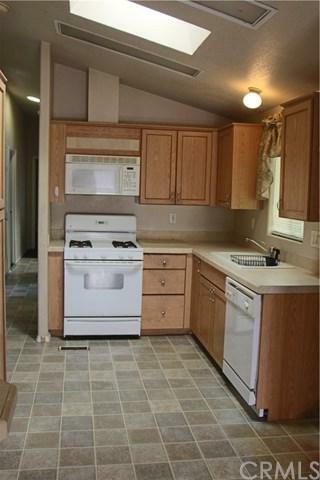 This 2004 Champion Manufactured Home has 3 bedrooms and 2 bathrooms. The kitchen that also has natural lighting through a skylight, comes with the following appliances in White: dishwasher, oven/range, built in microwave. The kitchen connects to the dining area that is roomy enough to fit a large dining table. Off the dining room is the living room that has a fireplace framed in stone. The remaining rooms: bedrooms, bathrooms and laundry room are spacious. The master bedroom has a connecting bathroom. 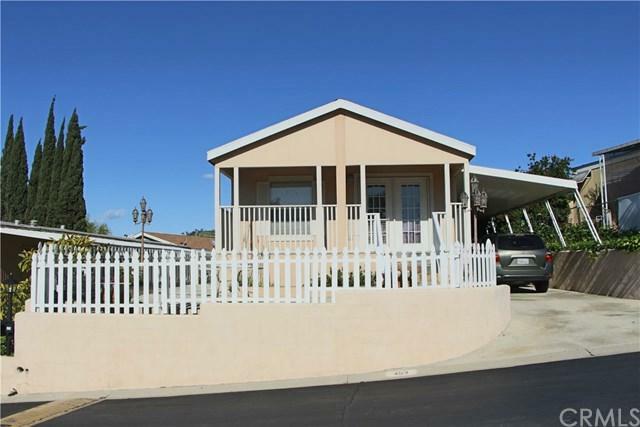 Additional features: fans in all rooms (excluding kitchen, bathrooms and laundry room), master bedroom has walk-in closet, laundry room has washer and dryer hookups, central air and a large front exterior patio. With some TLC you can make this home your own. You will enjoy living in this 5 star park that has a security guard 24 hrs a day along with 24-hour courtesy patrol to direct ALL incoming and outgoing traffic. The amenities at Covina Hills MHC are endless: An upper and lower clubhouse, billiards room, basketball court, an upper and lower swimming pool, spa and wading pool. There is a huge soccer field near the lower clubhouse for residents to play soccer or to just sit under a tree and have an afternoon picnic.